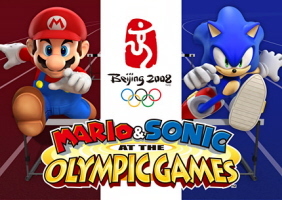 2009 is not an Olympic year, but don’t tell that to the throngs of gamers in Europe who continue to eat up Mario and Sonic at the Olympic Games like it’s going out of style. In the latest British sales charts, the Wii edition dropped only one place in the multiplatform category, from third to fourth. The game is still beating out big names like Resident Evil 5 and Guitar Hero: World Tour. Meanwhile, Sonic Unleashed dropped four places closer to the bottom of the top 40, from 32nd to 36th. It’s not clear whether that figure represents the sum of all versions sold, or only one particular edition, such as the Wii version. Much of Sega’s other recent offerings, such as MadWorld and Sonic and the Black Knight have been wiped off the radar. But Sega Mega Drive Ultimate Collection, known as Sonic’s Ultimate Genesis Collection domestically, did jump up eleven spots to 25th overall.